A total knee replacement, or a total knee arthroplasty, involves removing damaged portions of the knee structure and replacing them with man-made prosthetics. Typically made of titanium, plastics, ceramics, or metal alloys, implants are designed to mimic the position and shape of natural bone allowing for a near normal range of motion. Total knee replacements can produce excellent results, but are typically reserved for those who have exhausted other treatment options. Future revision procedures to repair or replace worn components can occur, due to the frequent use and weight-bearing requirements of the knee. The knee joint is comprised of the femur (thigh bone), tibia (shin bone), and the patella (kneecap). The patella is a triangle shaped bone embedded within the tendons above the knee. The two large knob like protrusions at the base of the femur are called the femoral condyles. 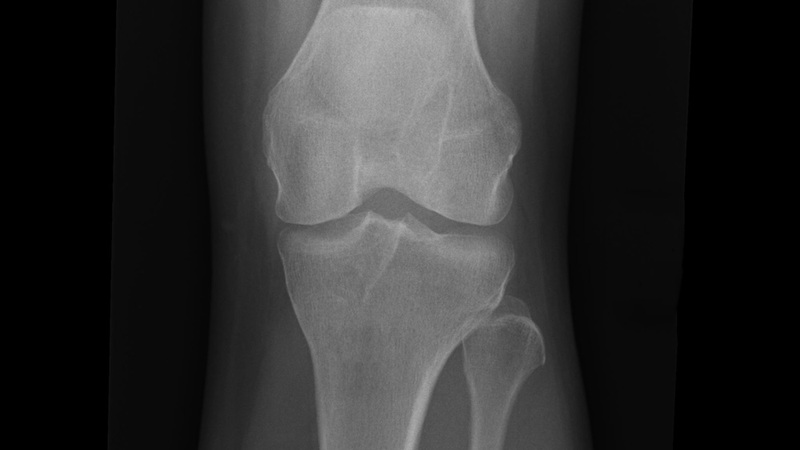 The weight bearing portions of the condyles are the focus of most total knee replacements. Tendons and ligaments surround the joint to stabilize and protect the knee. Tendons and ligaments many be removed in a total knee replacement based on their condition. Prior to the procedure, extensive X-rays will be taken to determine the condition of the joint, any reshaping required, and detailed measurements used in the procedure. General anesthesia, epidural, or nerve block are used to ensure patient comfort during the procedure. The knee will be placed in a bent position to allow access to the joint surfaces. Typically, a total knee replacement will take one to three hours to complete once prepped. Procedures can vary based on the type of implant and the surgeon’s technique. Some procedures are aided by 3D imaging and micro-robotic instruments to remove portions of the joint. Other methods utilize guides fixed to the bone and manually remove portions of the joint, protecting the tendons and ligaments. Incision length depends on the method of the procedure, but all knee replacements require sutures (stitches) or surgical staples that dissolve or are removed within a few weeks. Blood thinners are often recommended after the procedure to reduce the risk of blood clots. Pain and discoloration are common and will subside as healing progresses. Most patients return home in a few days. With physical therapy, a full recovery will typically be achieved in three to six months. At Heiden Orthopedics, our surgical team employs the most advanced surgical procedures in total knee replacement procedures, and focus on conservative treatments to restore knee motion and resolve tears, microfractures, and other painful conditions. I had a L TKA performed in Maybof 2015. I should have had a manipulation but my PT kept assuring me we would obtain the flexion I was seeking. That didn’t happen. I have only around 100 degrees of flexion-which is not enough in my opinion. Is there a way to laser away the scar tissue to achieve greater flexion?